First recorded by Billy Roberts (1961). Popular versions by The Leaves (US #31 1966), The Jimi Hendrix Experience (UK #6 1966), Wilson Pickett (US #59/R&B #29/UK #16 1969), Willy DeVille (SPN #1 1992). Also recorded by Tim Rose (1966), The Golden Cups (1968). From the wiki: “Diverse credits and claims have led to confusion as to the song’s true authorship and genesis. But, the earliest known commercial recording of the song is the late-1965 single by the Los Angeles garage band The Leaves. The band re-recorded the track (for the third time) in 1966, releasing it as a follow-up single which became a hit. 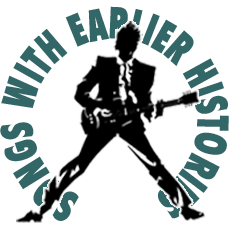 While claimed by the late Tim Rose to be a traditional Blues song (or often erroneously attributed to the pen of American musician Dino Valenti aka Chet Powers and Jesse Farrow), ‘Hey Joe’ was registered for copyright in the U.S. in 1962 by Billy Roberts. Producer Hal Resner has stated there is a live recording of Roberts performing ‘Hey Joe’, dating from around 1961.